Traveling Mexico is a huge task when you only have limited time. I would know, I recently spent three short but jam-packed weeks here. It’s a huge country with a lot of ground to cover. However, I’ve designed a Mexico travel guide that allows you to fit in as much as possible. Here is my ideal itinerary for where to go in Mexico for vacation when you only have 3 weeks. With the right amount of colonial cities, ruins and beaches, these 3 weeks in Mexico will be some of the best of your life! P.S This itinerary can also be done in reverse (obvy). We started our three weeks in Mexico trip off right with Guacamole and Margaritas in Isla Mujeres. Most flights into the East Coast of Mexico will land you in Cancun… Do yourself a favour and get out of there as soon as possible. You don’t want to waste any of your three weeks in Mexico feeling like you’re smack bang in the middle of a holiday park in the USA. Isla Mujeres is a quaint little island off the coast of Mexico, with bountiful natural attractions and cute eateries. It’s one of the most perfect places to visit in Mexico to de-stress post plane ride (if you’ve come from Australia like me). There are tonnes of awesome things to do in Isla Mujeres aside from veg out on the beach. But if you’ve only got three weeks in Mexico here are the three things to do in Isla Mujeres before you leave. Swim with whale sharks: Whale Shark season runs from mid-May to September. These guys are massive and don’t actually eat meat so you’re pretty safe swimming with them. It’s such an incredible part of a backpacking Mexico itinerary that I’d actually recommend planning your trip around this! Eat exceptional local seafood: As you’re on a tiny island there is so much incredible seafood to be eaten. Fish tacos, conch ceviche and freshly grilled Octopus should be your priorities. Bally-Hoo and Sunset Grill are both great options. Hire a golf cart for the day: Hiring a golf cart is definitely the best way to see the island and was one of my favourite things to do in Mexico. Hiring one for the day will set you back about $50 USD but the freedom of touring the island on your own is totally worth it! The most popular hostel on the island with big restaurant on the beach and nightly entertainment. Brand new hostel with free yoga and fitness classes and a bar to balance it all out! Cute guest house with super friendly hosts over looking the ocean. Boutique hotel with an infinity pool, friendly staff and only 10 rooms. The perfect spot to start your 3 week Mexico itinerary. Playa Del Carmen is Cancun’s little sister and while it’s still quite westernised it’s worth stopping in for a few good nights out, some awesome shopping (this gal can’t resist the bargains at Forever 21) and some more relaxing beach time. Wondering where to go in Mexico? Add Playa to the list! Dance to awesome live music: One of my favourite things to do in Playa Del Carmen was experiencing the live music scene. Many restaurants host Mexican cover bands exclusively playing hits from 2004. It’s totally daggy, but a great way to spend a night while sipping plenty of Margaritas. 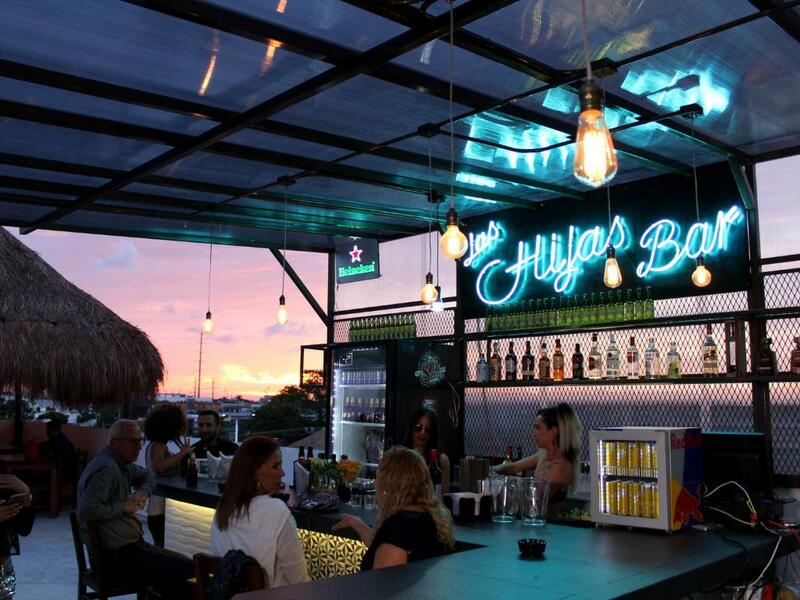 Have the best night out of your trip at Coco Bongos: One of the best things to do in Mexico and something you can’t leave Playa Del Carmen without seeing is a night at Coco Bongos. I avoided it as I thought it was too expensive and would be totally lame. However, when on my last night I was persuaded to go by some fellow travellers, I was blown away by the showmanship and expertise of the dancers. It’s pricey, but it’s all-you-can-drink once you’re in there. Do NOT leave Playa Del Carmen without going! You’ve been warned. Three weeks in Mexico is not the same without a trip to Coco Bongos. 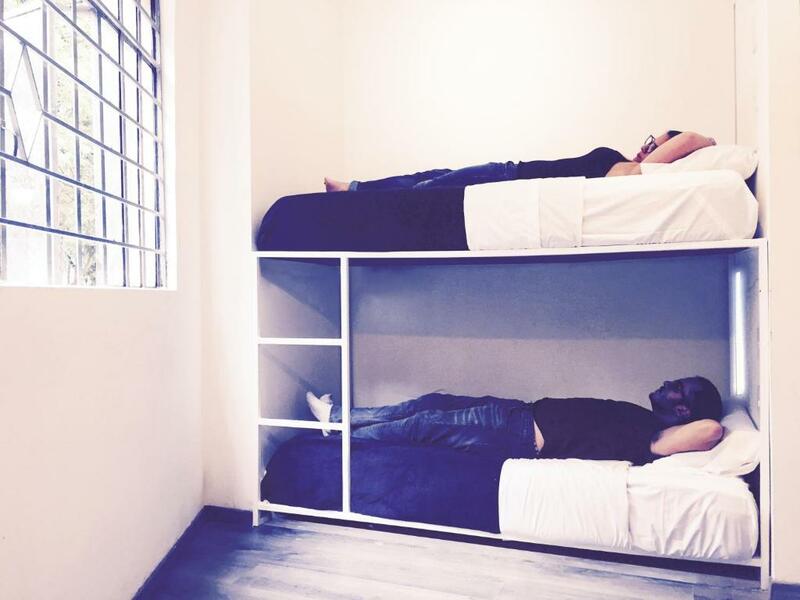 This brand new hostel has a swimming pool, big clean rooms and friendly staff. The perfect spot to stop off on your Mexico backpacking itinerary. A 10 minute walk from the beach, this hostel has a rooftop bar with a hot tub and is super clean with friendly staff. Right in the heart of Playa Del Carmen, this hotel has a restaurant, free bike rental, lovely staff and free breakfast. If you’re looking to spoil yourself during your 3 weeks in Mexico, this is the Place to go. With 3 outdoor pools, 3 restaurants and a private plunge pool on your terrace. The Cenotes in Tulum definitely need to be on your list of where to go in Mexico. 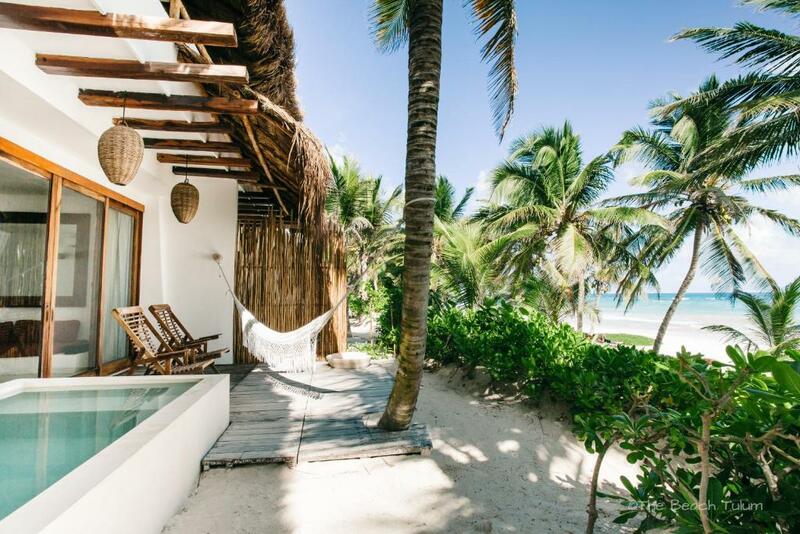 When deciding where to go in Mexico when you’re time poor Tulum is one location you can’t leave off your list. A bicycle is your best friend in this little village. I recommend staying in the town as the beach is quite far away and very touristy. Cycle to the Cenotes: You should also spend a day cycling to the local cenotes. Make sure you take your camera, as exploring the underground rivers and swimming holes created by volcanic activity was one of my favourite Mexico activities. Go for a swim, snorkel or if you’re game you can dive them. Expect to see fish, bats and turtles. Chill on the beach: Even though the beach is really touristy, I still recommend visiting it. I like to pack as many beaches in as possible in my Mexico 3 week itinerary. So jump on your (pre-hired) bike, and venture down there for a relaxing day of drinking cocktails on the sand. Eat with the locals: There are a tonne of awesome restaurants on the main street of Tulum serving up all sorts, from street tacos, to paletas (Mexican ice cream). Basic hostel in town but very social with free breakfast, free salsa lessons and free drinks. The perfect spot to make some friends for during your three weeks in Mexico. This is an all inclusive hostel! Right on the beach with hammocks, a pool, beer pong tables and free sushi every night. With a rooftop solarium this hotel is located in the centre of town with free breakfast and big spacious rooms. 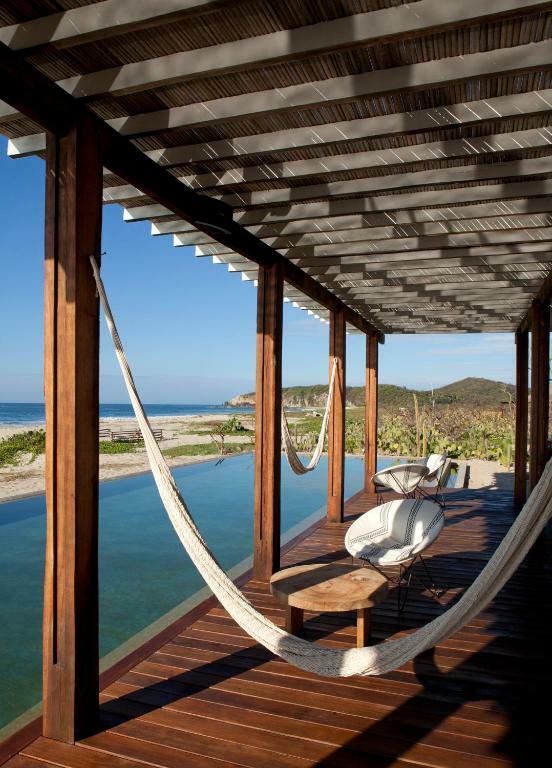 This 5 star hotel is a must if you’re wondering where to go in Mexico for a splurge weekend. With dedicated staff private terraces and a stunning pool. Wondering where to go in Mexico? The incredible Chichen Itza needs to be on your list. If you’re wondering what to do in Mexico you can’t go past Chichen Itza. It is one of the New 7 Wonders Of The World for a reason. The huge complex of Mayan ruins sits on the road from Tulum to Merida. I would recommend avoiding a paid tour and getting there yourself. Ideally, head there early in the morning, spend the day exploring the ruins and taking in the history and then continue on to Merida or Cancun to catch a flight to Oaxaca City. Wondering where to go in Mexico? You can’t go past the BBQ’d meats in Oaxaca’s central market. A must-visit in your Mexico 3 week itinerary. Oaxaca was one of my favourite Mexico travel destinations and while it’s not part of a traditional 3 week Mexican travel itinerary I highly recommend it. It really reminded me of Melbourne, incredible food, rooftop bars and friendly people. The church of Santo Domingo is the centrepiece of the town, and definitely worth a stroll and a few pictures. Pig out at the market: Do not leave Oaxaca city without visiting the food market where you can choose from a selection of meats and sides and watch as the staff prepare them on smoky barbecues while you watch. Take the bike tour: My other recommendation would be to take the night bicycle tour. While you won’t learn anything about the city, you will cycle around it with 50 other strangers while the leader blares pop music out of a giant speaker attached to his bike. It may be one of the strangest things I’ve ever done, but it was hilarious and free so well worth it. Just make sure you hire a bike early in the day as they sell out. This was one of my favourite activities in our 3 weeks in Mexico. 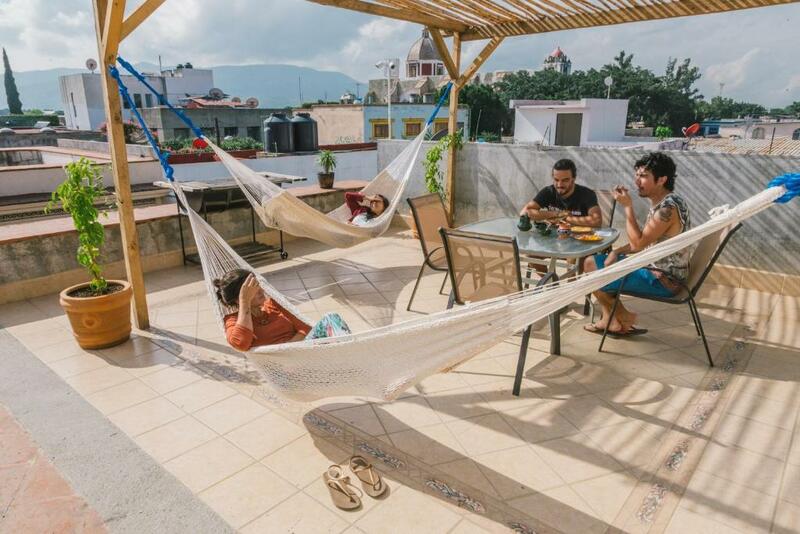 Nice hostel in downtown Oaxaca with friendly staff and great activities like rooftop yoga. 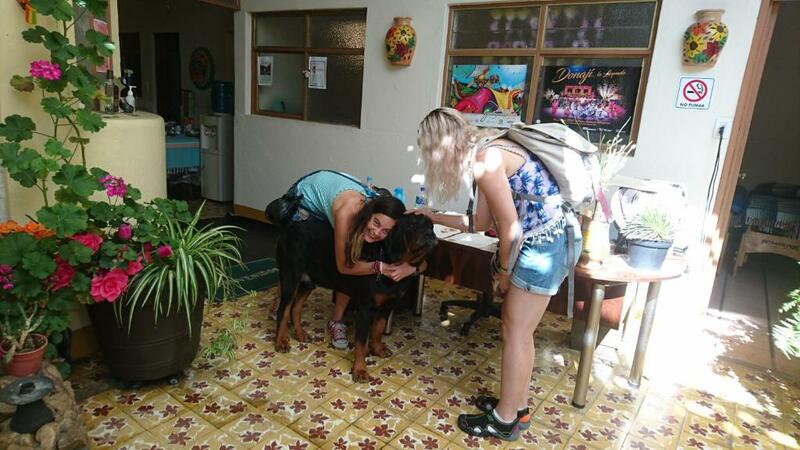 Fantastic hostel with friendly owners, free breakfast and big homely rooms. The perfect spot to spend some of your 3 weeks in Mexico. 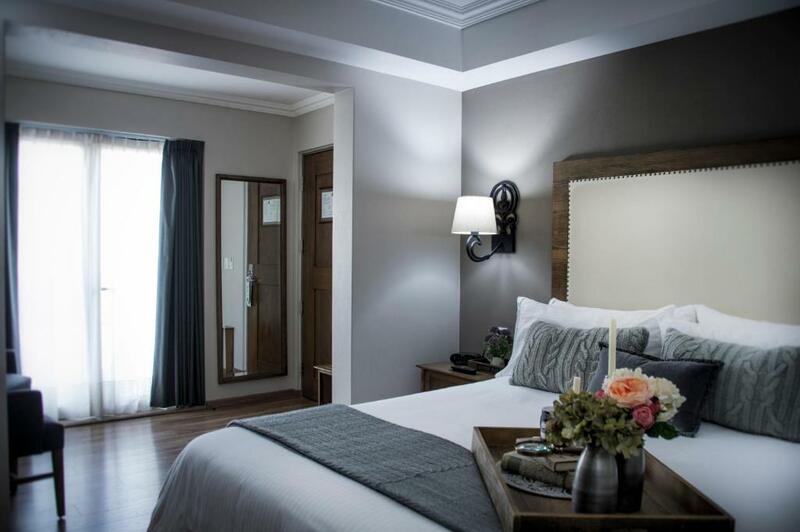 With an outdoor pool and restaurant this boutique hotel is close to the heart of the city and has free breakfast. 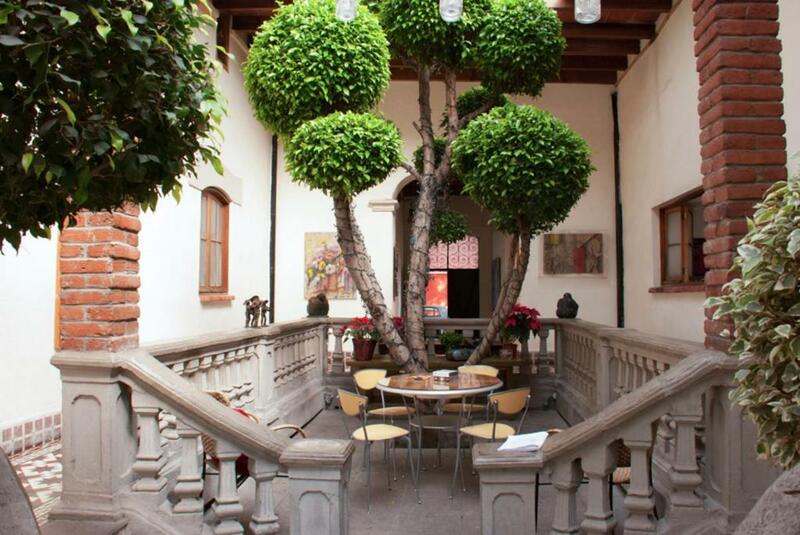 This stunning hotel is in the heart of Oaxaca city. 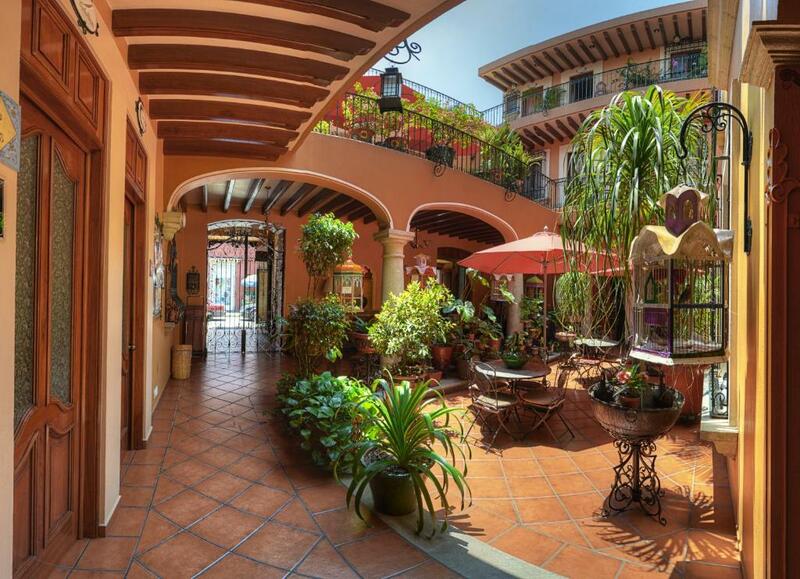 Featuring stunning traditional Mexican decor and restaurant in-house. The beautiful beach in Puerto Escondido needs to be on your list of what to see in Mexico. This tiny surf town stole my heart, and while I ended up staying for over two weeks, it’s a great place to chill and explore for 4 nights. If you’re taking a tour of Mexico make sure Puerto Escondido is on the list. The food is fantastic, the scenery amazing and the surf next level. Don’t believe me? Check out my article on ‘Why You Should Learn To Surf In Puerto Escondido‘. Surf some of the biggest waves in the world. If you’re wondering where to go in Mexico to surf Puerto Escondido is the answer. Known for its big wave competition don’t be too scared there are good surf areas for beginners to experts. Swim with dolphins: Head to a local travel agent, barter and you should be able to get yourself a morning dolphin tour for about 300 pesos. That’s $15 USD guys! The dolphin tour was probably one of the most amazing things I’ve done in my life. About half an hour away from the shore we came across hundreds of dolphins spinning, jumping and diving out of the water. Must-add to your 3 week Mexico backpacking itinerary. Help baby turtles safely out to sea: ‘Liberacion de las tortugas’ is another once-in-a-lifetime experience. There are many turtle sanctuaries along the beach, and tourists are free to help the Rangers release the baby turtles back to the ocean and ensure they are not attacked by predators along the way. We helped out at the sanctuary on Playa Delfine, which I’d thoroughly recommend. This needs to be on your list of where to go in Mexico. A 6 minute walk from the beach with an outdoor pool, friendly staff, and a social atmosphere. 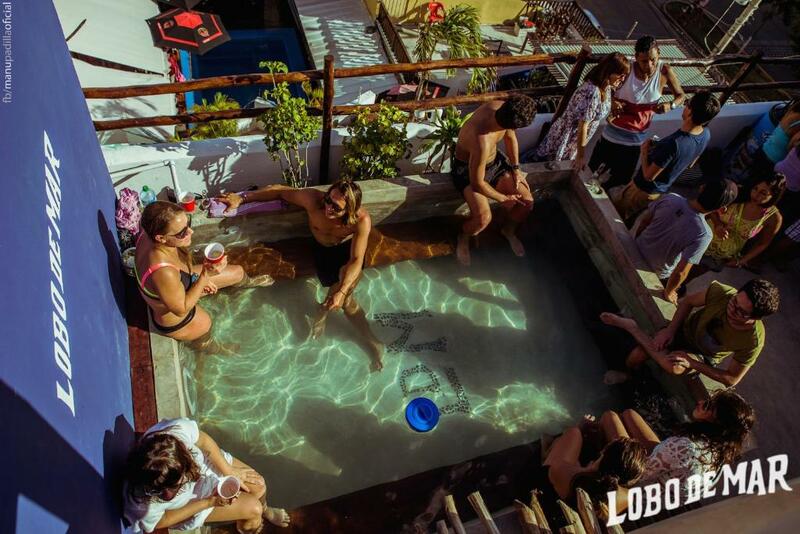 A 2-minute walk to the beach, this hostel has an outdoor pool, restaurant and a bar. A great alternative if you’re sick of party hostels. 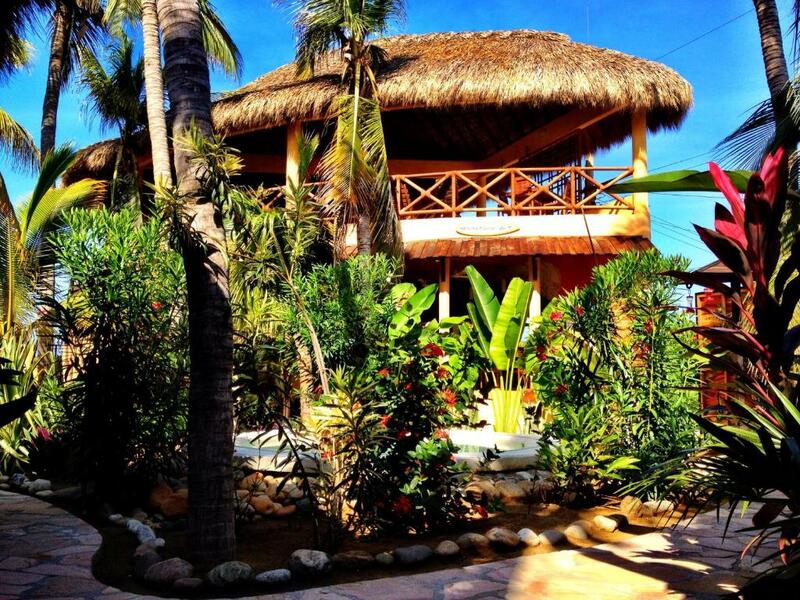 This boutique hotel is close to the action of Puerto Escondido while still being secluded and features a sun terrace with swimming pool and a hammock area. The perfect place to stop at as part of your 3 weeks in Mexico. This stunning hotel is on the sea and has a beach club, a spa, and stylish bungalows with private swimming pools and ocean views. On the ‘Gringo Trail’ you hear all sorts of Mexico travel advice and horror stories about how dangerous Mexico city is. But from this Gringa’s perspective, like anywhere with a dangerous reputation, if you’re street smart, you will be fine. Eat incredible food and party: The eclectic neighbourhood of Condesa is where you need to head for all the best food in Mexico City. We muched on tacos and sipped on margaritas all afternoon. If you’re looking for more to-do’s in Mexico City check out Why Mexico City Is The Most Overlooked City In The World. 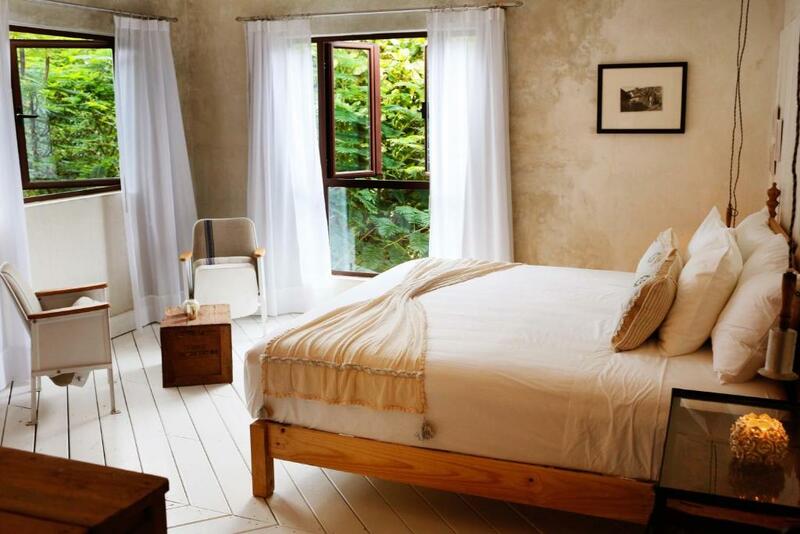 Located in a restored 50’s house near the historic centre of the city. With friendly staff and a lovely homey feel. Awesome location, right in the trendy and safe Condesa neighborhood. It’s a basic hostel, but great location. With free bikes, as well as a terrace this is a lovely little guest house in a great part of town with really friendly staff. Right in the historical centre this is a stunning hotel if you want to treat yo’ self during your three weeks in Mexico. Features free breakfast and lovely staff. Looking for more options on where to go in Mexico? 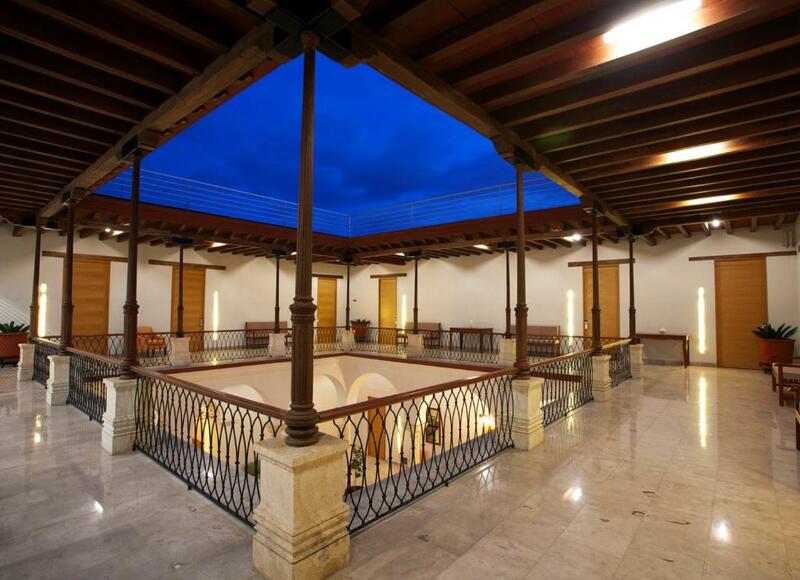 Check out this article on Baha Mexico, budget traveler’s paradise. Want More Information On Where To Go In Mexico? There are links within this post on where to go in Mexico when you have 3 weeks that I can earn a commission on, which allows me to keep providing free travel tips and destination guides. If you’re thinking about purchasing something I have recommended I’d really appreciate it if you bought it through this site. All opinions as always remain my own.